It is the first time ever that Huawei CBG has brought a flagship smartphone to the Pakistani market shortly after launching globally. 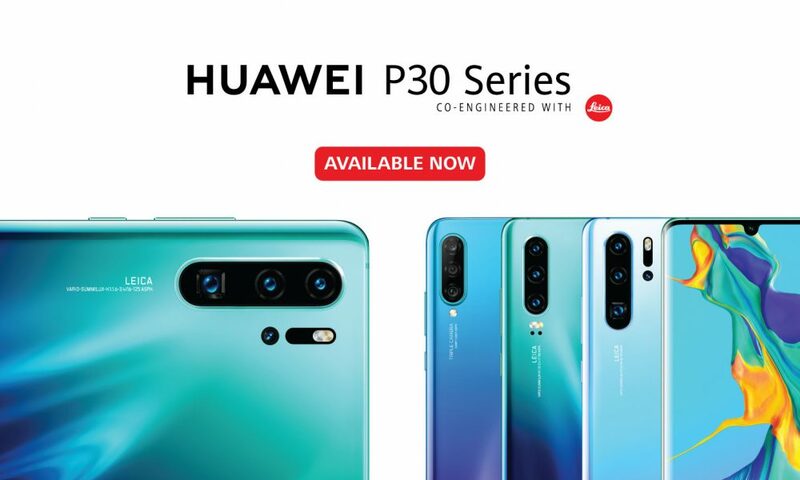 The HUAWEI P30 Series featuring HUAWEI P30 Pro, HUAWEI P30 and HUAWEI P30 lite has been the most anticipated flagship smartphone series this year taking the crown for its unmatched camera capabilities and innovative technology. The good news is that it is finally available to purchase in the market starting Saturday, 13 April 2019. During the 12-day pre-order phase, the series raked-in more than 5,000 pre-orders, exceeding all past records for Huawei flagships. The HUAWEI P30 Pro has also garnered global accolades with the Technical Image Press Association (TIPA) awarding it “Best Photo Smartphone” award at their general assembly. With a DXOMark score of 112, HUAWEI P30 Pro clinches the throne of the best smartphone camera. It is equipped with the Leica Quad Camera System which includes a SuperZoom Lens, a 40MP Super Sensing Camera, a 20MP Ultra Wide Angle Lens for a broader perspective, and a HUAWEI ToF Camera. All three variants of HUAWEI P30 Series sport a 32MP front camera which can produce expert selfies that will glow with stunning detail, even in overexposed backlight or during the night. The HUAWEI P30 Series elevates premium design to new heights. It exemplifies the beauty of nature with backs that capture the ethereal beauty of the salt flats evoking the images of the breathtaking lake with its compact design. Drawing inspiration from the miraculous sea, sky, and space combined; the HUAWEI P30 Pro and HUAWEI P30 come in Breathing Crystal and Aurora colors where-as the HUAWEI P30 lite is available in colors Black and Aurora. The HUAWEI P30 Pro features a large 4,200mAh battery that supports a new generation of faster and more convenient capabilities such as the 40W HUAWEI SuperCharge, along with 15W HUAWEI Wireless Quick Charging and Wireless Reverse Charging. On the other hand, HUAWEI P30 lite is powered with Kirin 710 Octa-Core Chipset and comes with a 3,340 mAh battery.